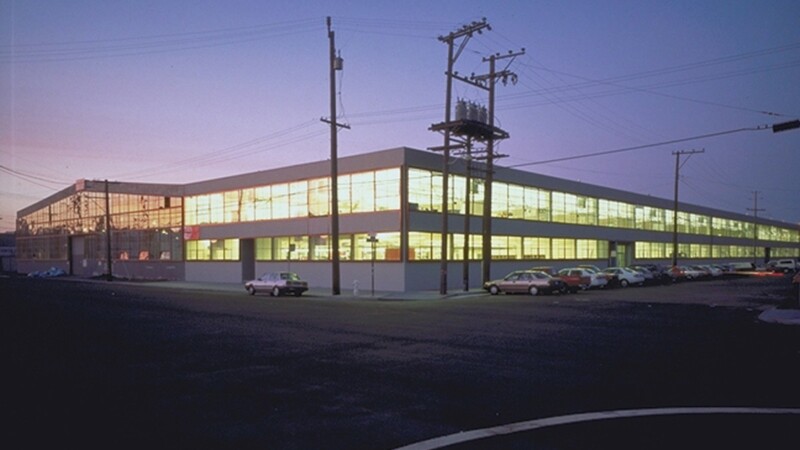 California College of the Arts (formerly CCAC) acquired the Greyhound Bus regional repair facility just after the 1989 Loma Prieta Earthquake. The original reinforced concrete building was designed in the 1950s by Skidmore, Owings & Merrill (SOM) specifically for the Greyhound Company. 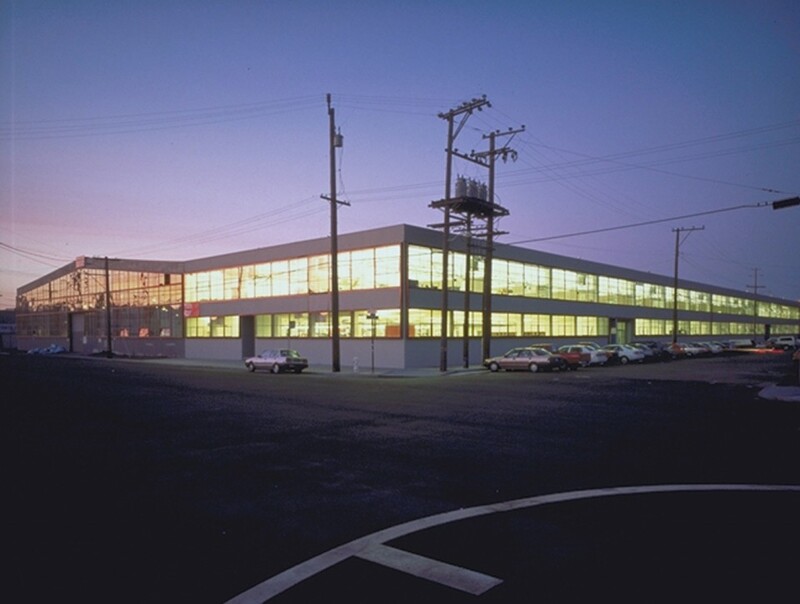 CCAC moved into the facility in two stages; first into the two-story service building (known as Alpha), and a few years later into the bus repair facility, a large open space, roofed over by enormous concrete arches (known as Beta). Alpha was heavily damaged by the earthquake, and although not damaged, Beta lacked a strong lateral load path. The design for Alpha was undertaken by firms whose principals were on the faculty. We did the structural design. 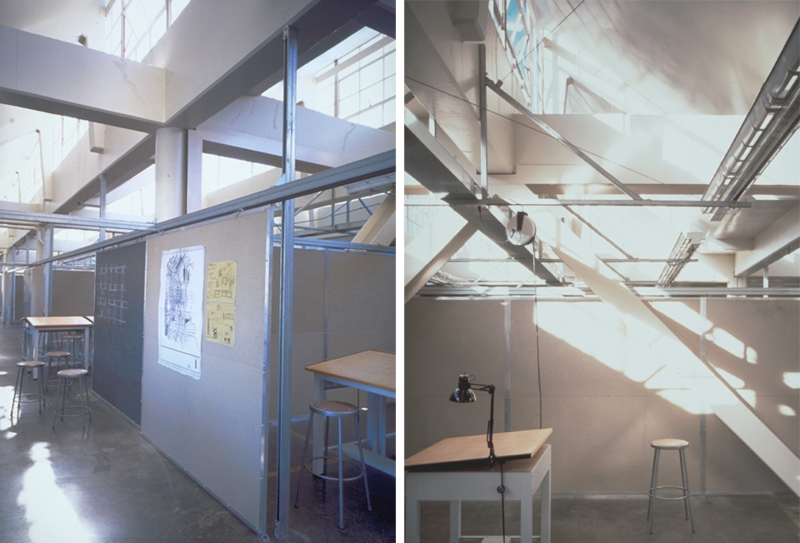 Conversion of a mid-20th century modern industrial building into an art school called for a sophisticated approach to the seismic strengthening since the braces would also demise the design studios. The original Alpha building was built to sustain heavy machine shop and equipment loads with robust interior columns supported by concrete piers bearing on underlying bedrock. The braces were placed in the center of the structure to deliver the seismic forces to these elements because they could sustain additional loads. This array of seismic elements allowed the perimeter strip windows to be uninterrupted by bracing. The steel braces themselves consisted of common wide flange sections, rotated 90 degrees to fit snugly around the originally under- reinforced concrete beams. Flanges of the steel sections were threaded through the concrete floors to provide continuity. Beta was renovated a few years later as the result of an international design competition. Local architects Leddy Maytum Stacey were selected, and the structural design for Beta was done by Arup Associates.